ELA awarded its fifth Environmental Vision Award at the 2016 Boston Flower & Garden Show. 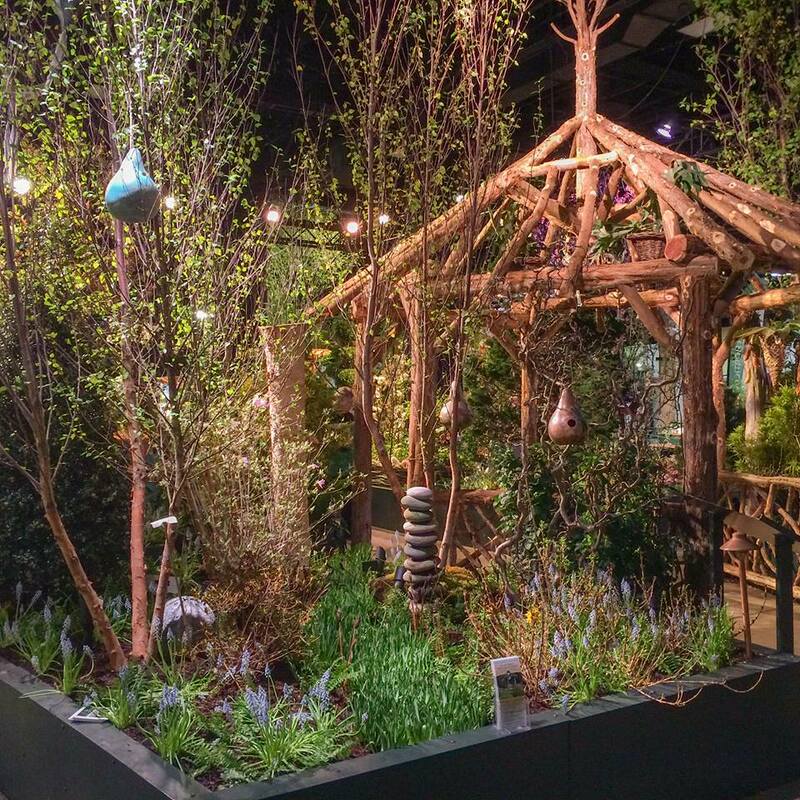 The Massachusetts Horticultural Society’s exhibit “Nature’s Classroom,” designed by John Forti and Terry Duffy, received this year’s award. Susan Opton, Terrascapes Landscape Design and two colleagues, Diana Simon Emma Pritchett, judged the exhibits against a list of criteria that included conservation of resources, use of recycled materials, and design guided by knowledge of and respect for natural ecosystems. “Nature’s Classroom” designed by The Massachusetts Horticultural Society received the 2016 Environmental Vision Award. Recycled yard waste becomes wattle beds housing herbs and greens. The winning display included wildlife habitat – including a fancifully plainted beehive. 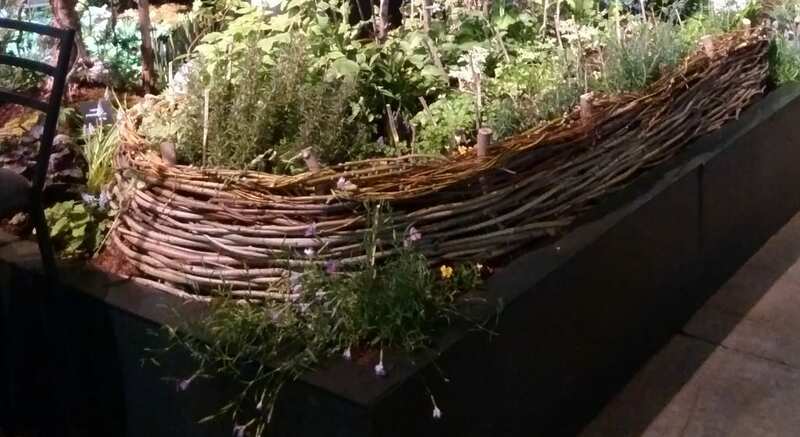 Raised beds from woven willow boughs housed herbs and leafy greens, fulfilling one of the permaculture petals. 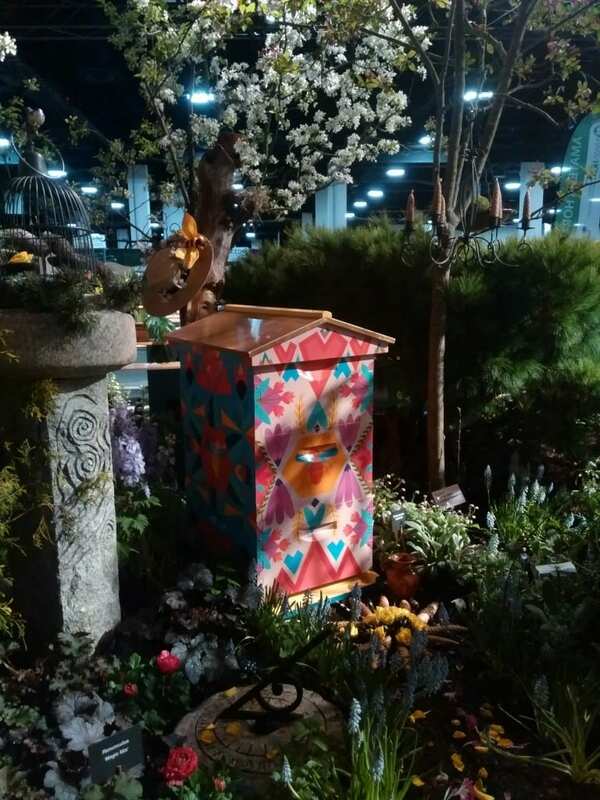 The garden invited pollinators with species such as Amelanchiar and Cornus and then furnished dwellings for bees and birds in colorful beehives, mason bee nests, and bird house gourds. All elements of the garden encouraged and inspired engagement by visitors of every age. Aquatic terrain was represented visually through a river of bulbs which provided an illusion of a water friendly habitat. The winner of the ELA Environmental Vision Award receives a $150 donation to the environmental non-profit of its choice.